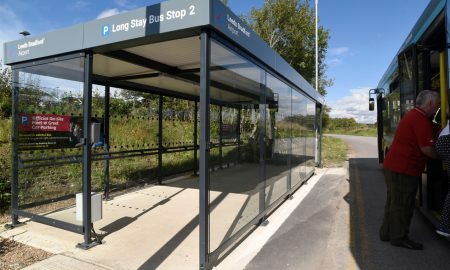 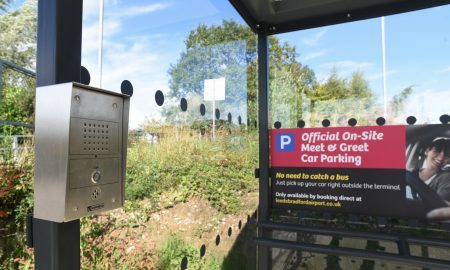 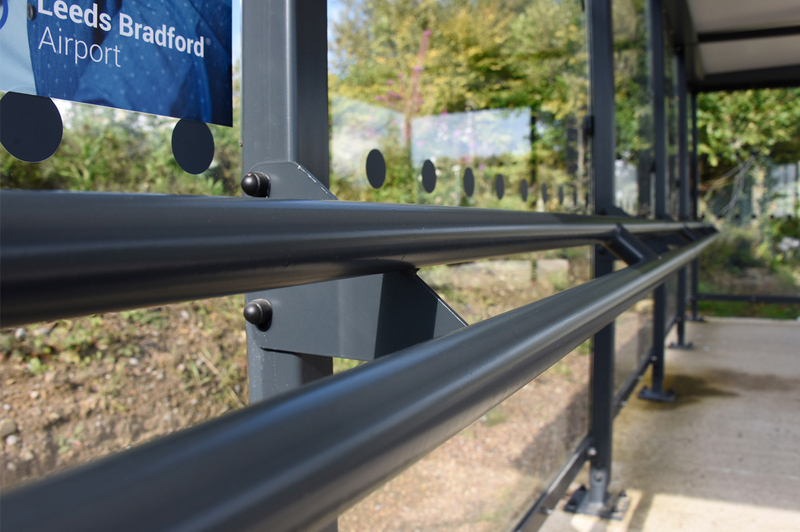 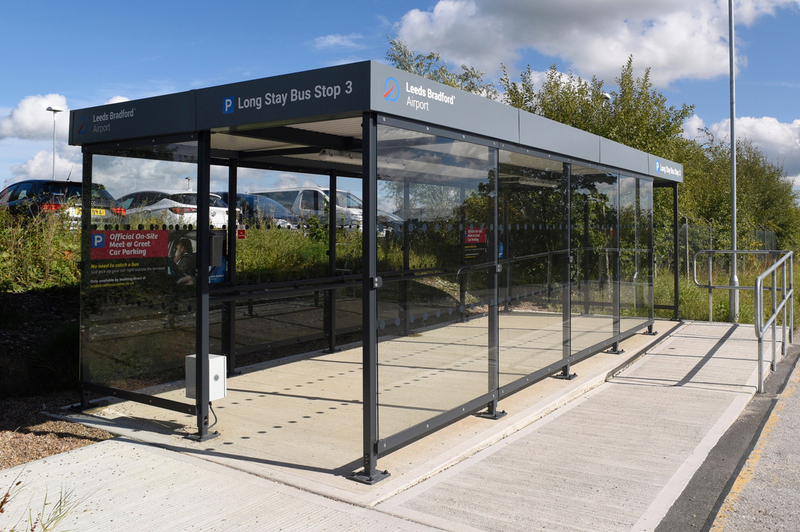 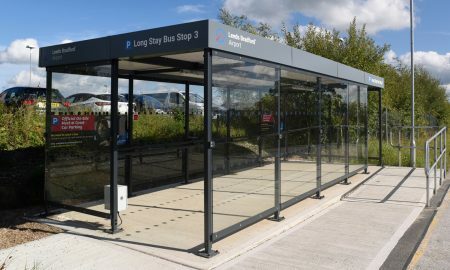 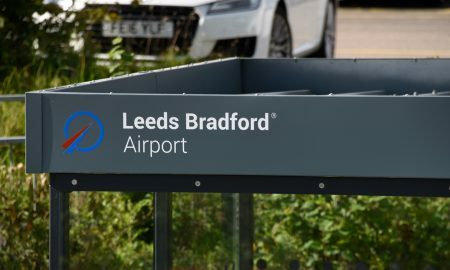 Leeds/Bradford Airport had a requirement which involved the replacement of existing passenger waiting shelters at the Airports Terminal Long Stay Car Parks. 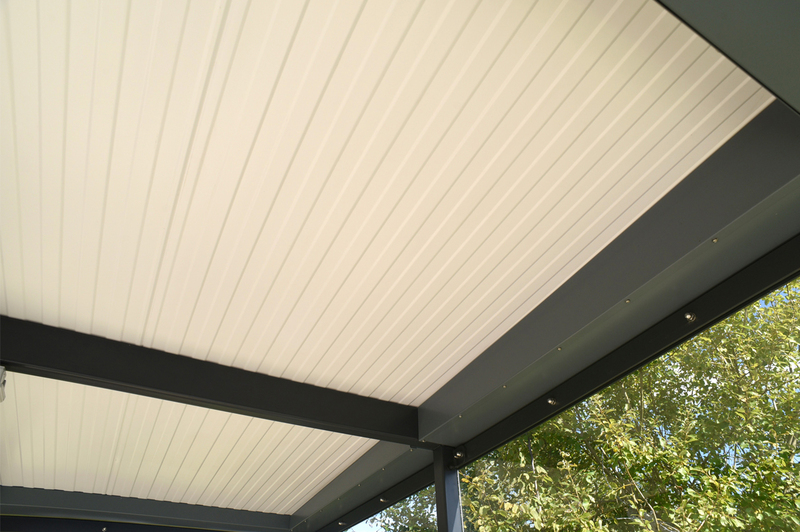 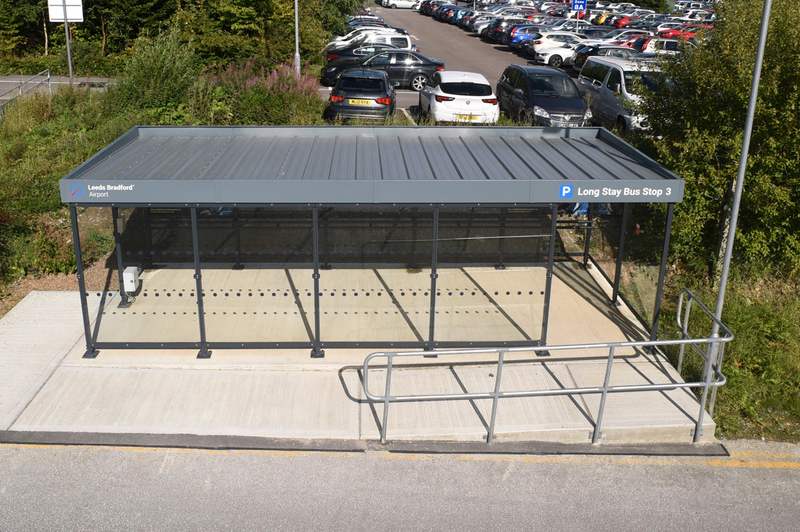 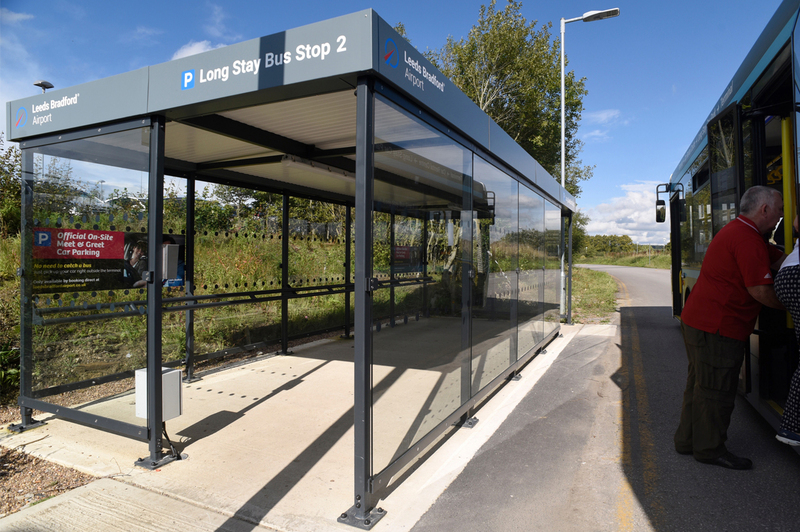 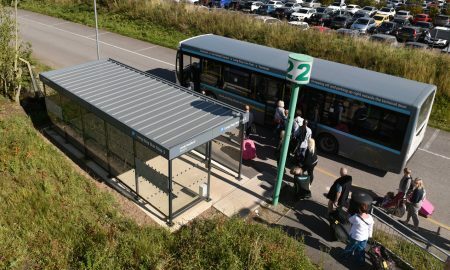 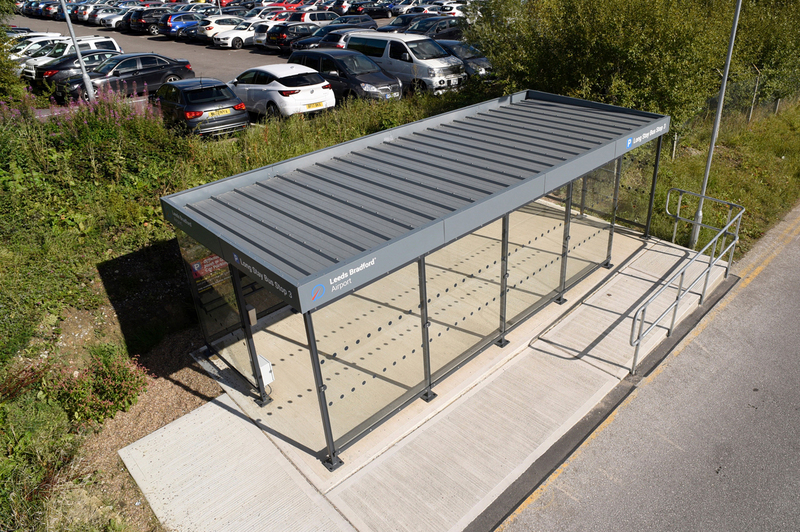 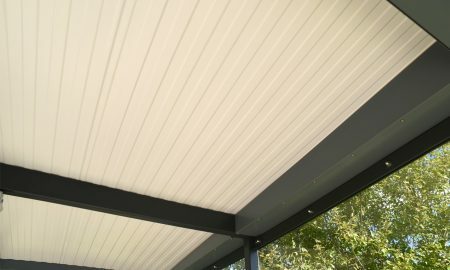 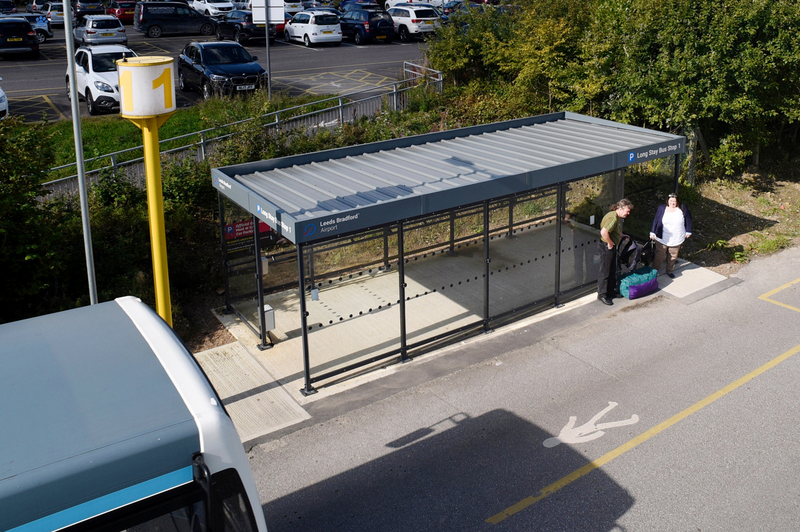 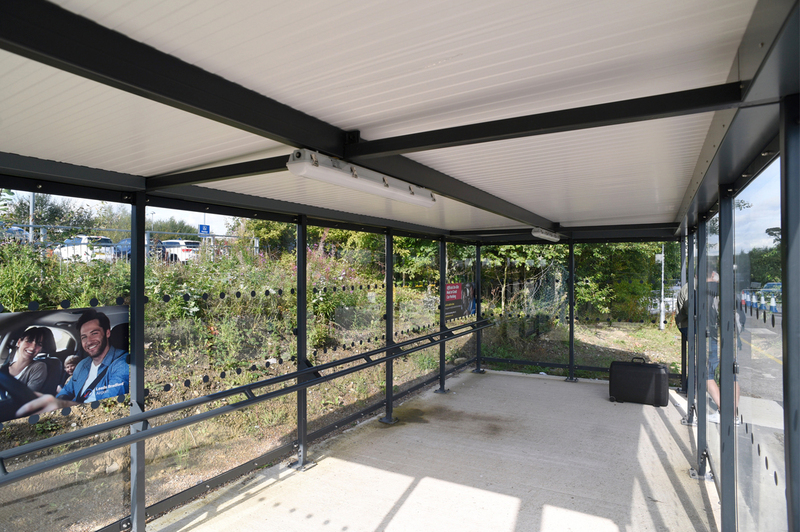 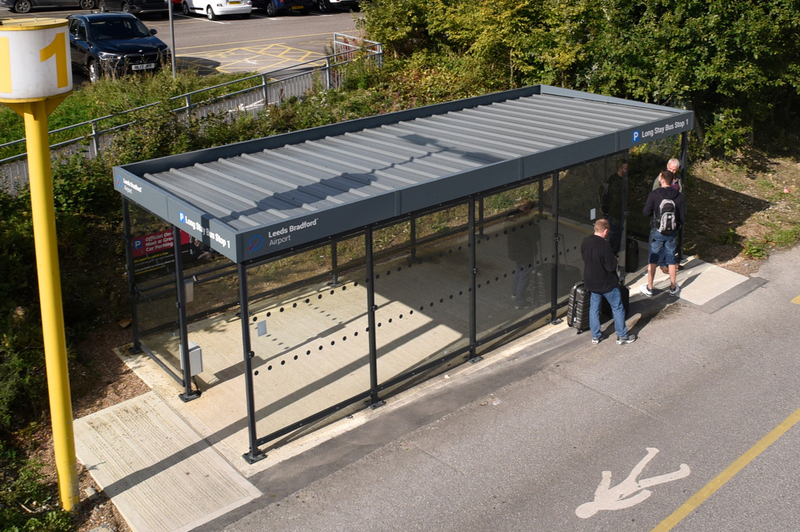 Broxap created a passenger shelter that was cost effective whilst being strong, durable and contemporary in style. 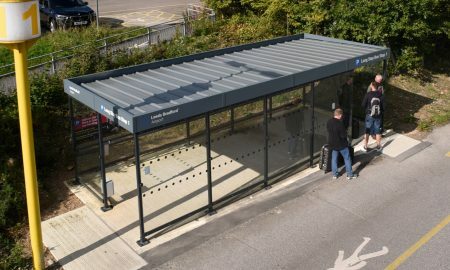 These shelters were constructed of galvanized mild steel, polyester powder coated to RAL 7016 Anthracite Grey forming the skeleton of the shelter. 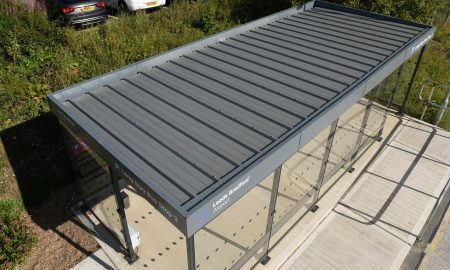 Upon this the roof was constructed of Merlin Grey 40mm Corus Tresomet and included integral guttering which led to a downpipe to shed water at ground level. 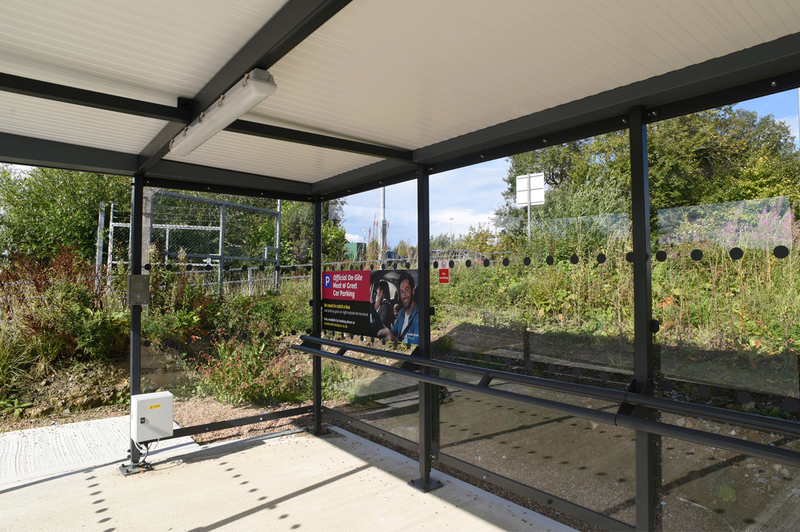 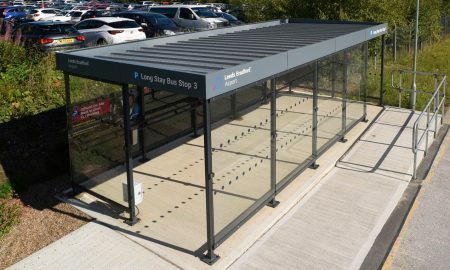 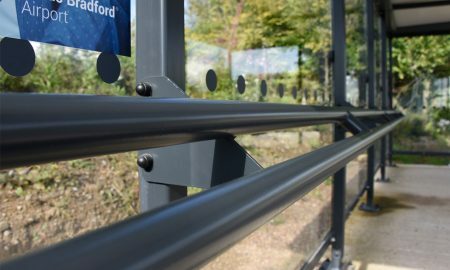 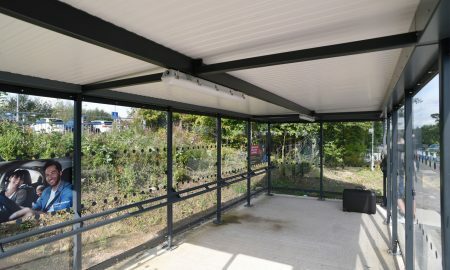 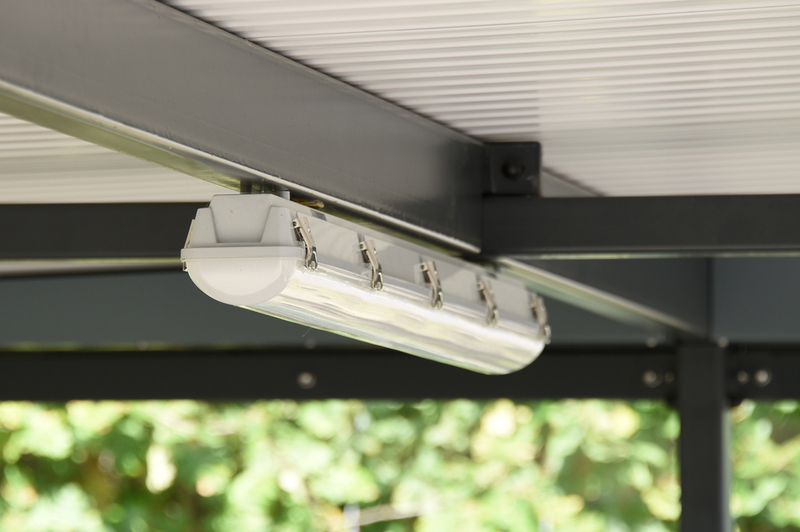 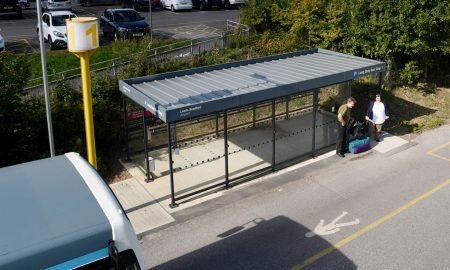 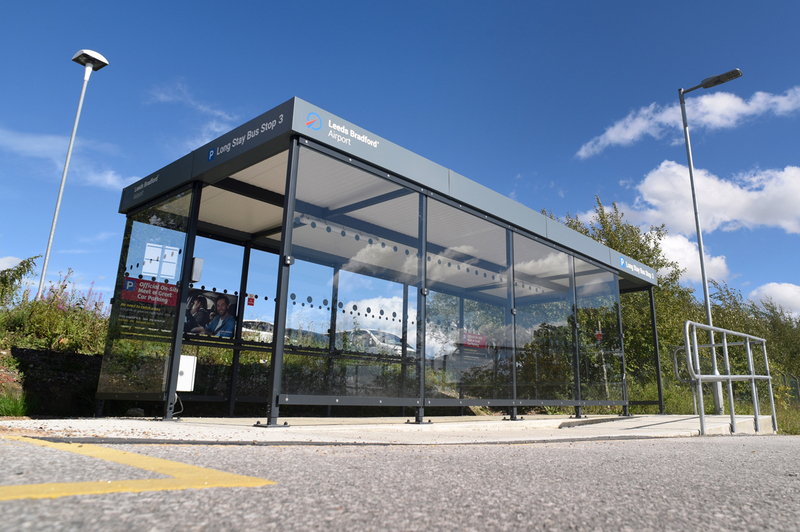 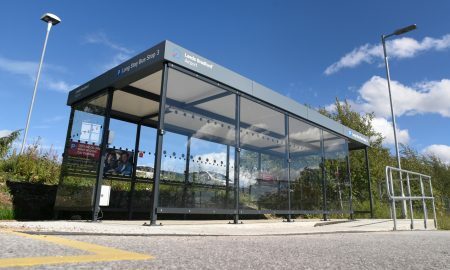 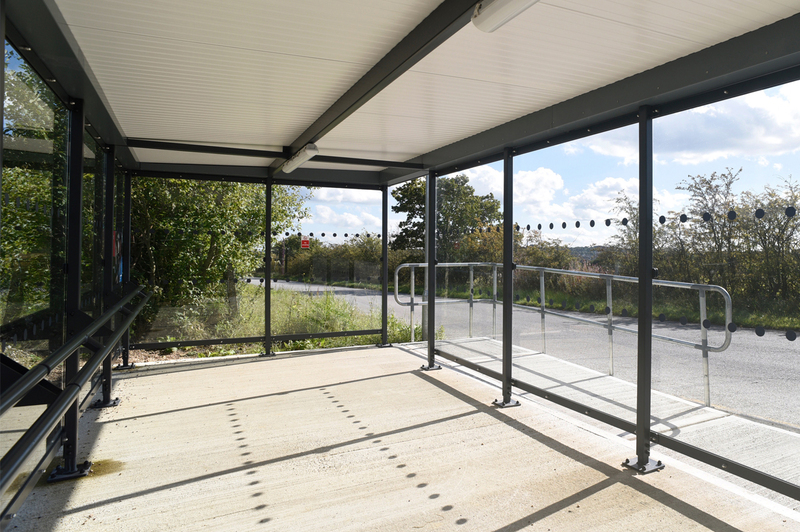 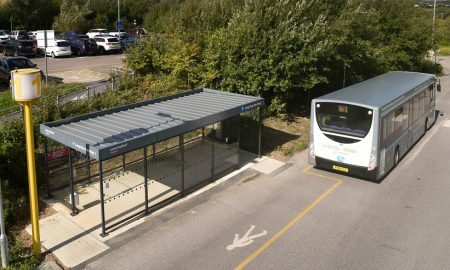 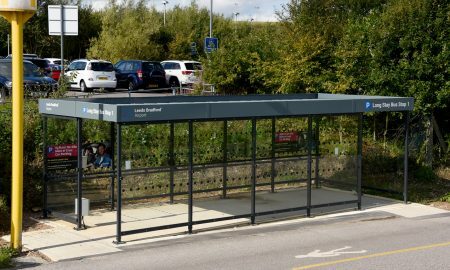 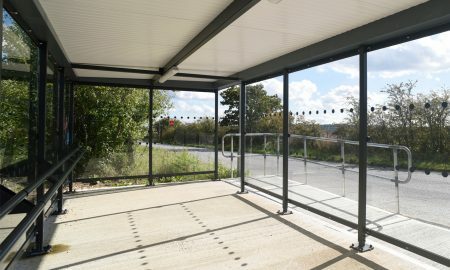 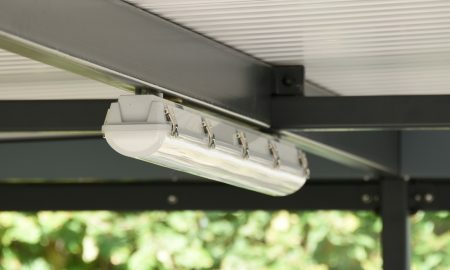 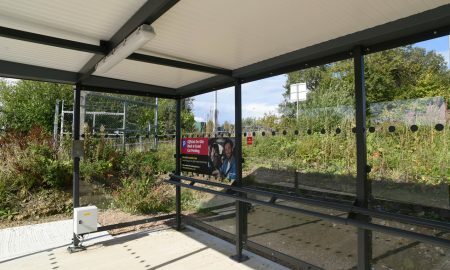 The shelters have 10mm Heat Soaked Toughened Glass Panels which feature vinyl ‘visibility’ dots whilst the interior also features integral lighting and a perch seat for passengers. 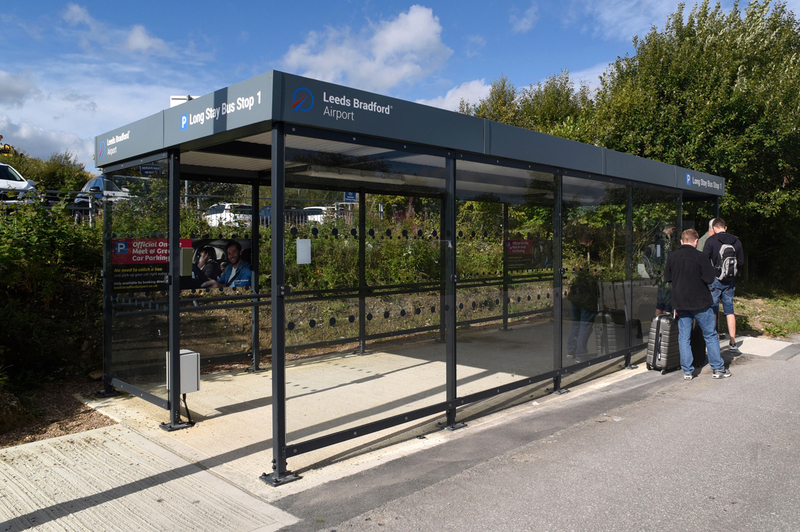 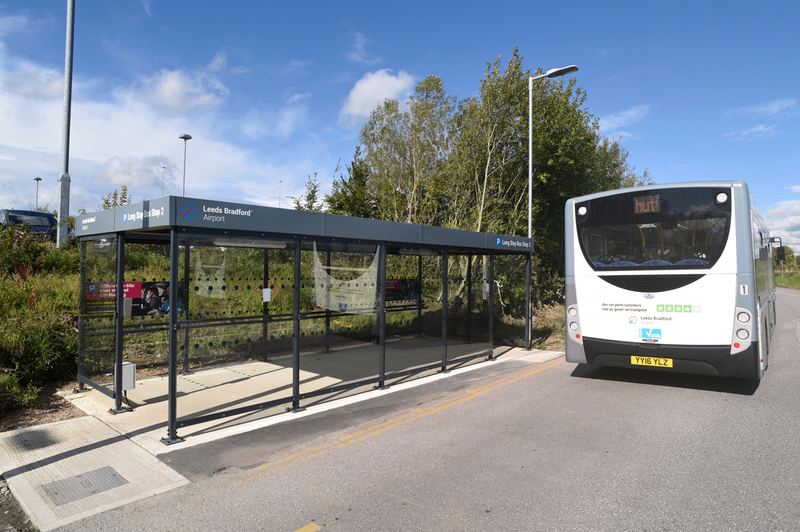 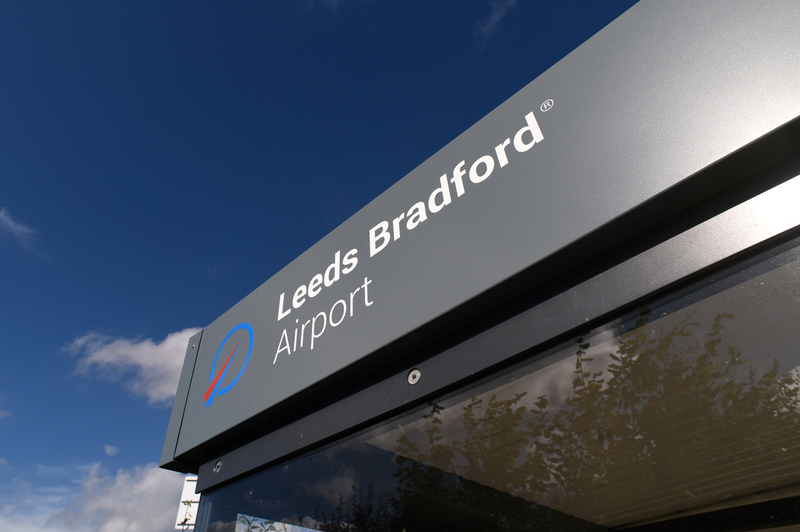 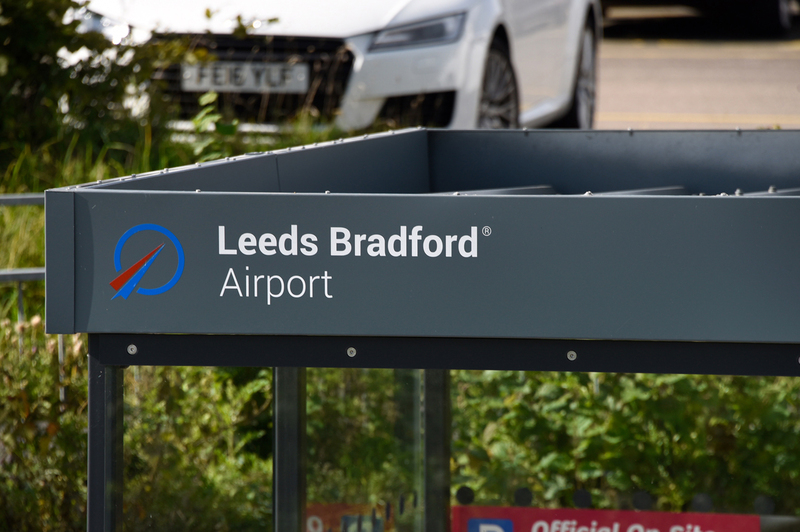 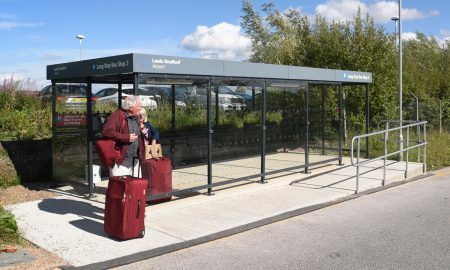 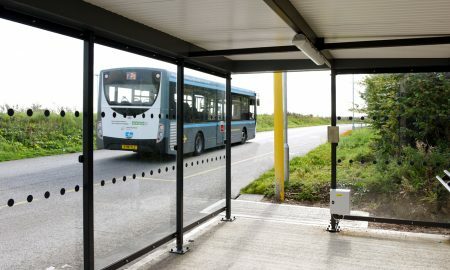 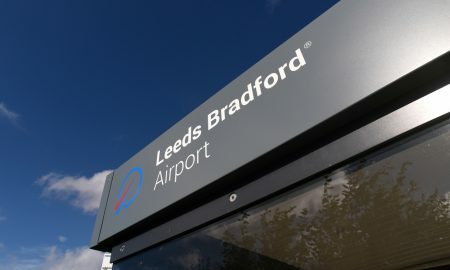 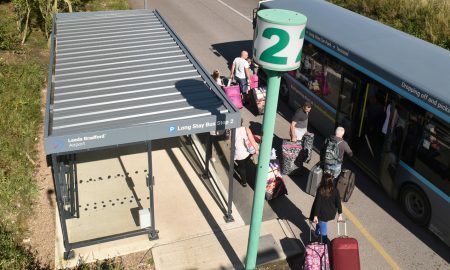 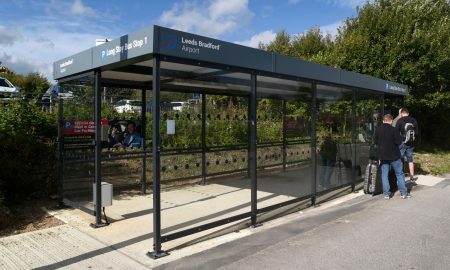 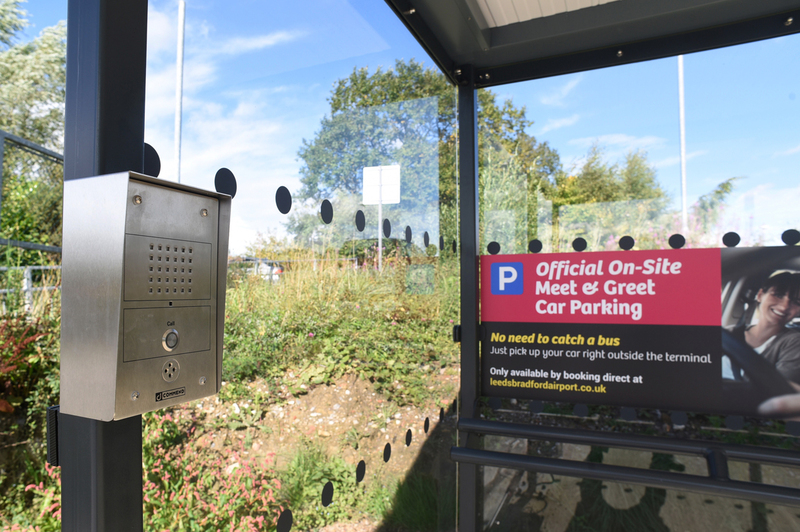 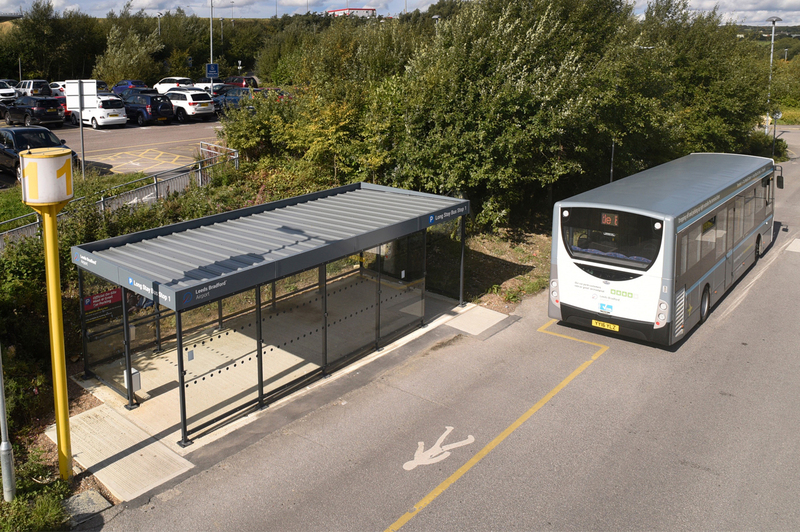 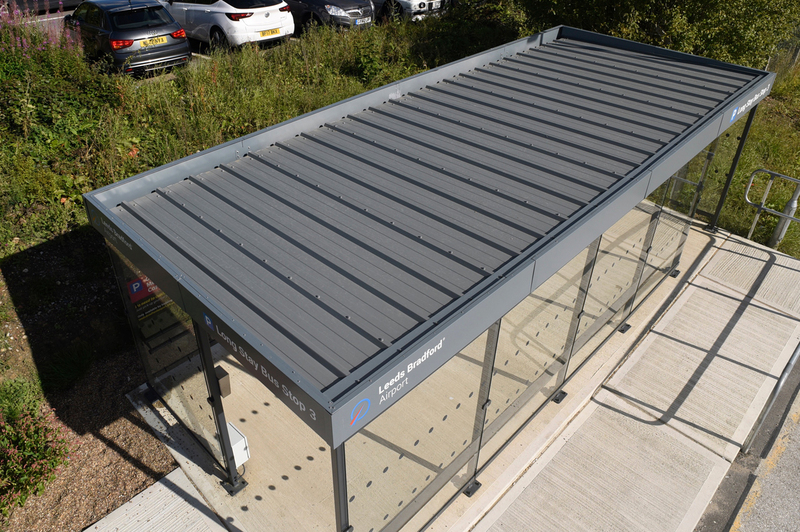 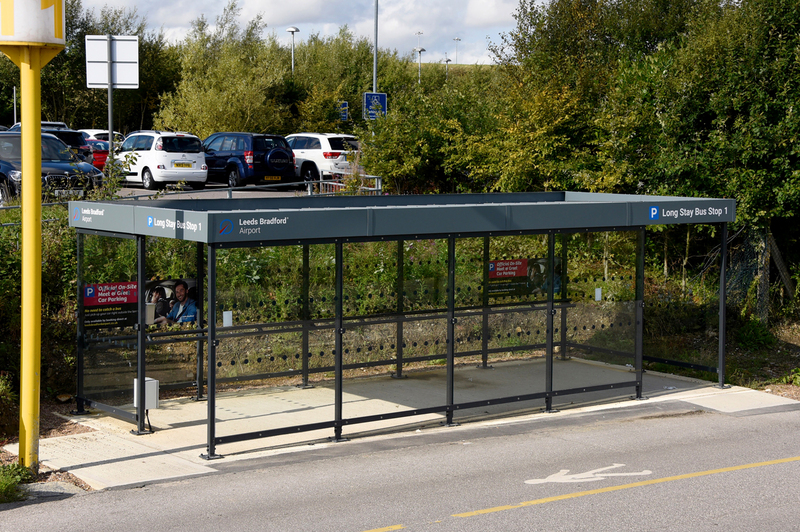 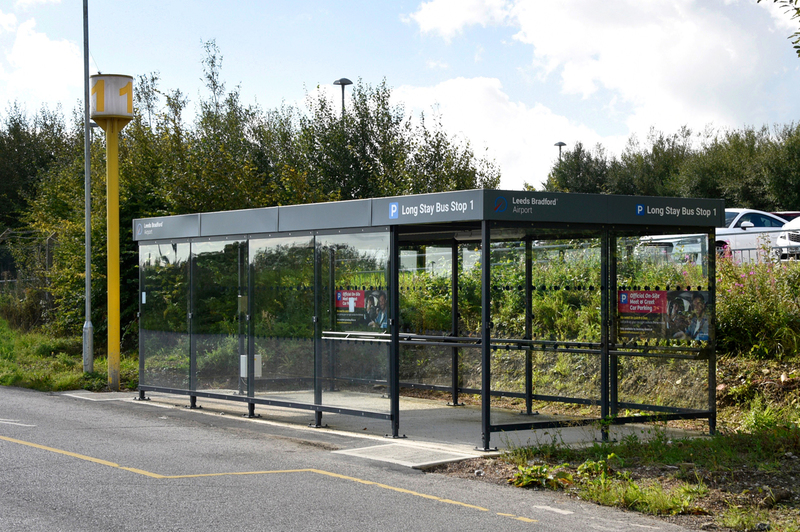 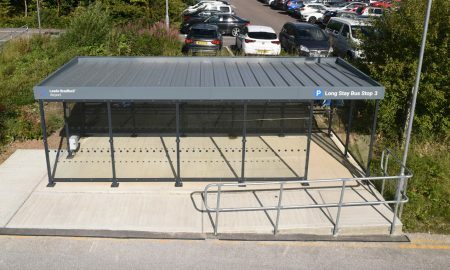 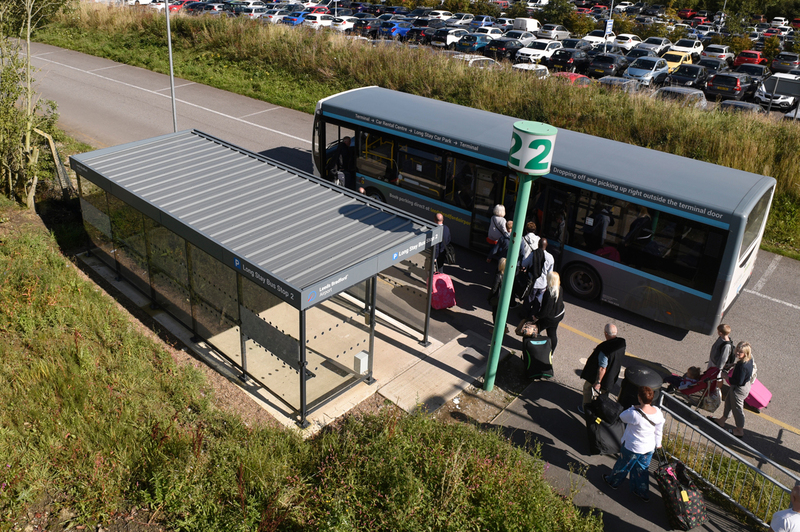 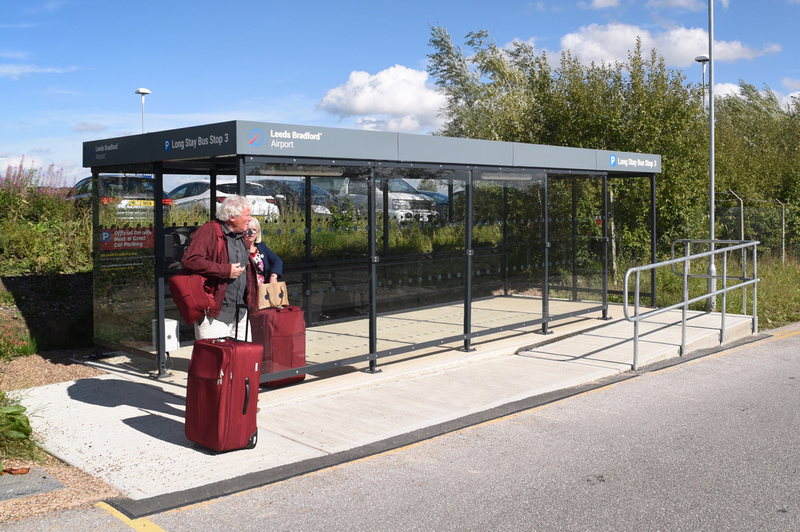 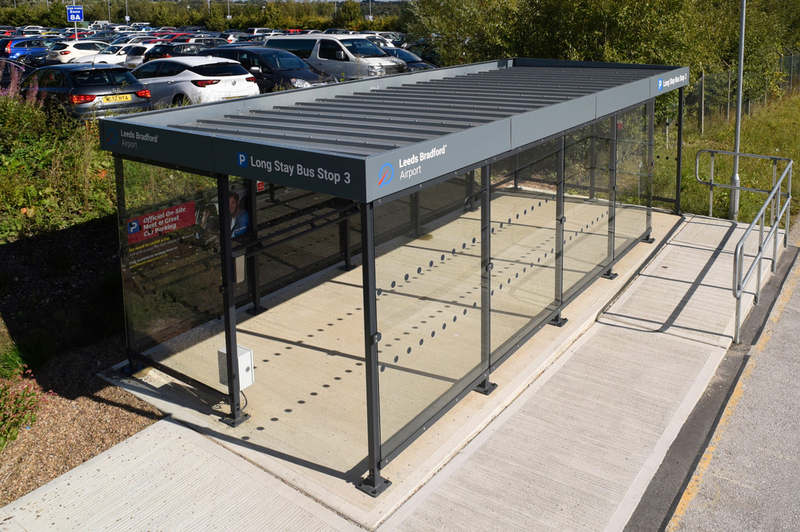 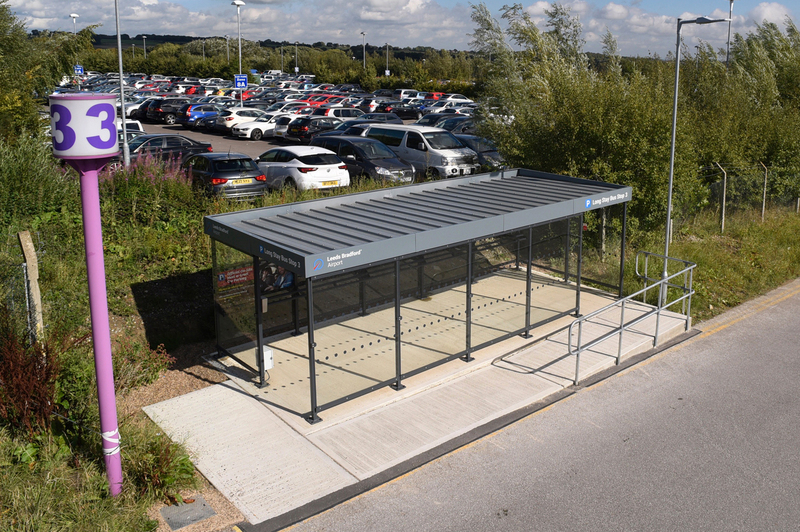 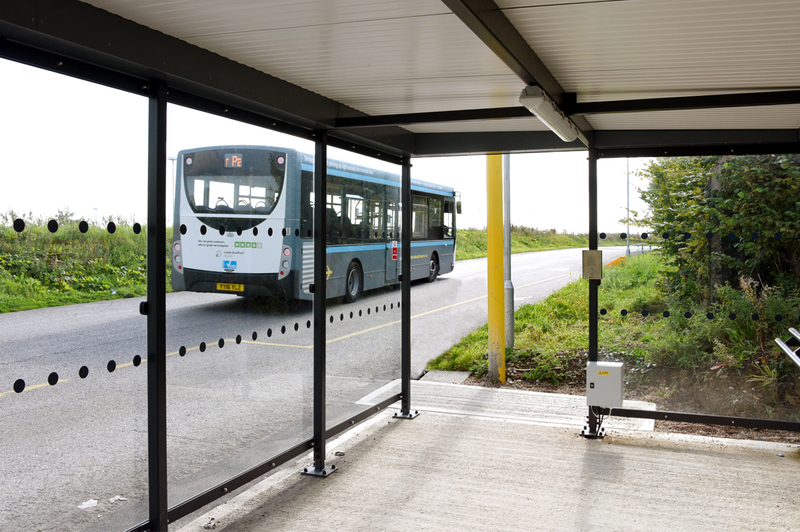 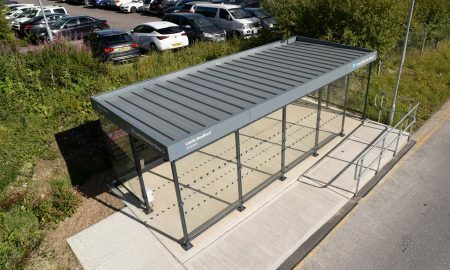 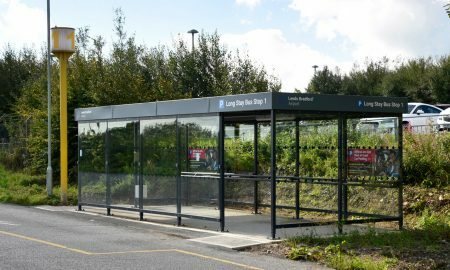 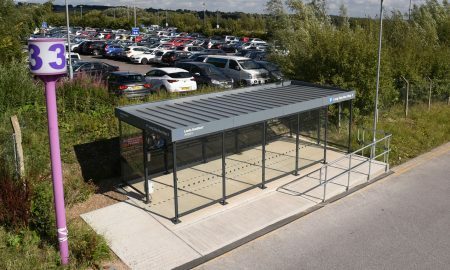 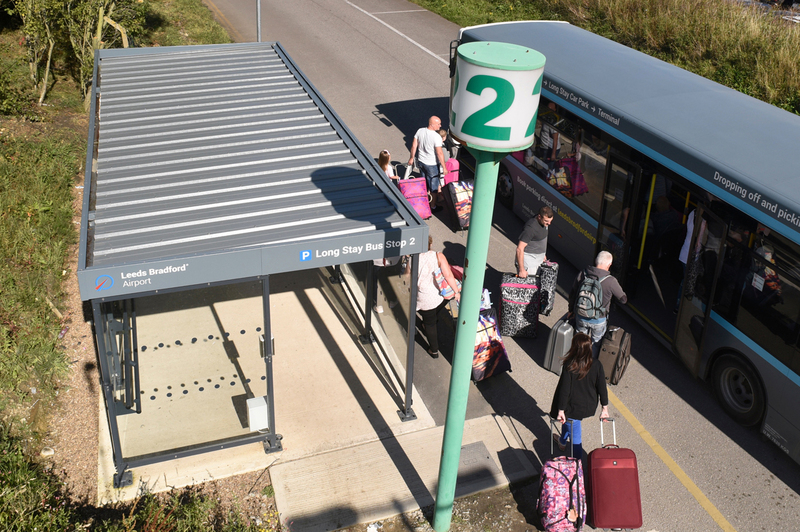 Leeds/Bradford Airport livery was added to the roof panels and the shelters installed by Broxap with a minimal amount of disruption to travellers at the Airport Car Parks.